Real estate signs are an effective way of showcasing your property and encouraging people to enquire about it. Real estate signs are an effective way of showcasing your property and encouraging people to enquire about it. Thus, apart from making potential buyers aware of the property, such signs can also help boost sales. When the property in question is a luxurious one targeting high-end buyers, designing custom signs to showcase the unique features of it should be considered to appeal to the preference of these potential buyers. When The Bear’s Den Club decided to get some custom banners designed for its real estate teaser and marketing campaign, it was Citrus Sign Studio that was entrusted with the job. The Bear’s Den Club is the next level of luxury and promises to be Florida’s most talked about vacation homes. Designed in conjunction with Jack Nicklaus – the Golden Bear, these luxury homes around the 17th & 18th holes of the Jack Nicklaus Signature Course at Orlando’s Reunion Resort offer renters and owners the chance to have the Golden Bear as their neighbor and being privy to golf front splendor at its best. 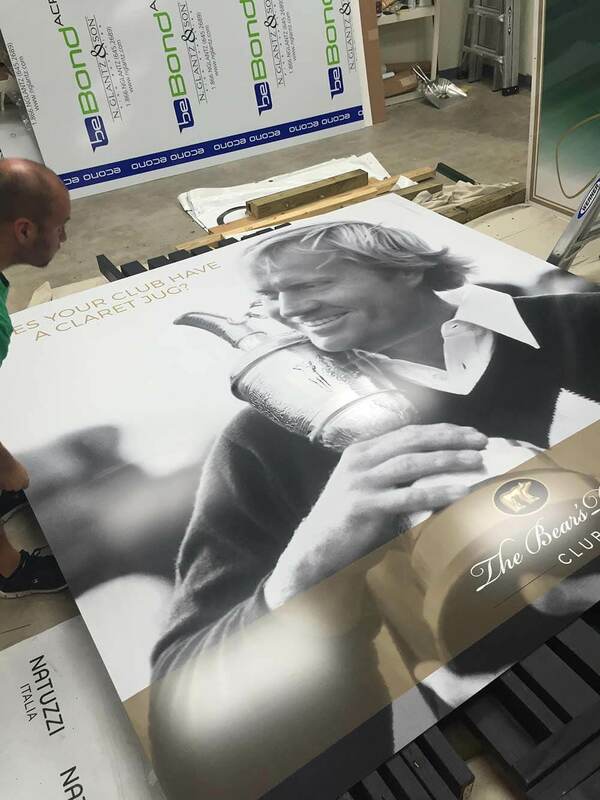 The Bear’s Den Club needed custom banners designed that matched its private, members’ only status and showcased its association with the legendary professional golfer – the Golden Bear himself. As this new luxury golf community was coming to life, it needed custom signs to showcase its legendary status. 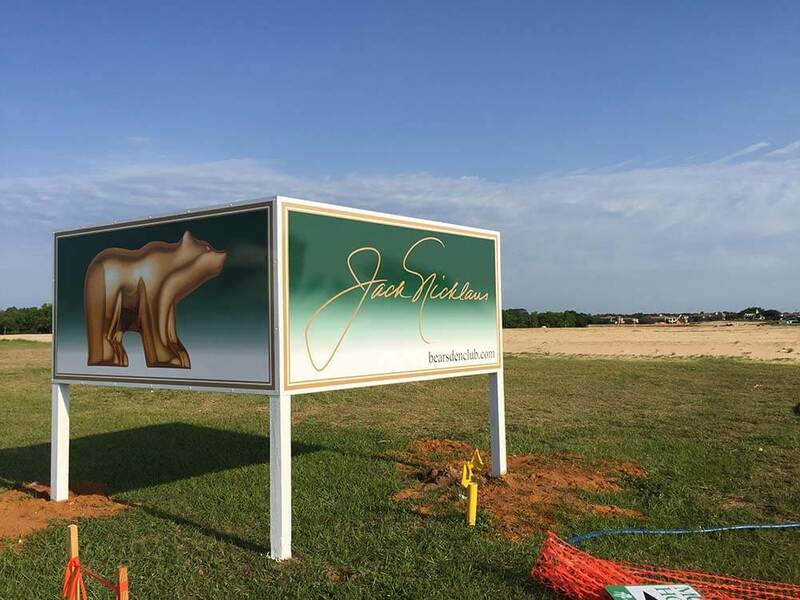 Citrus Sign Studio designed huge trailer banners put up on I-4 that featured the Golden Bear icon and prominently displayed the name of Jack Nicklaus. With contact details marked as 888.2TheDen and [email protected], these custom banners acted as teasers to make people curious and seek more details. 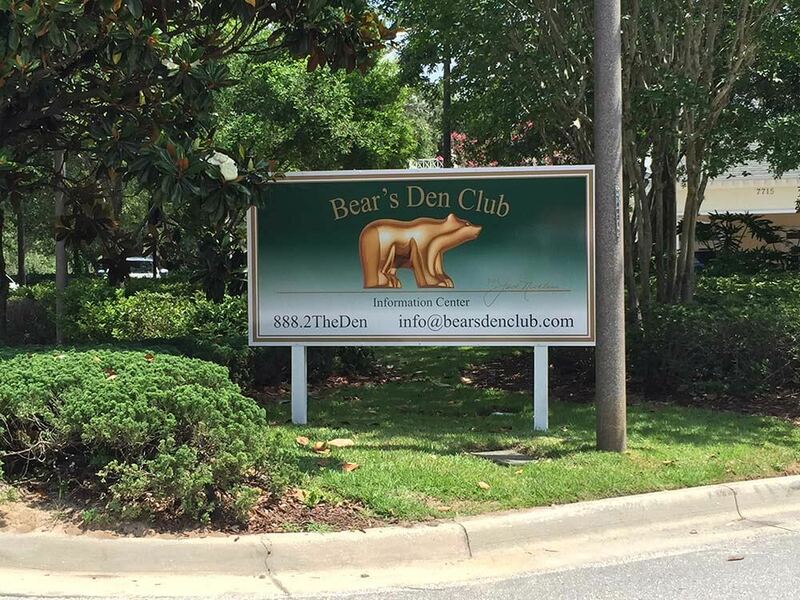 In one of the prominent real estate signs that were put up at the Reunion Resort, the name Bear’s Den Club was featured with the famous bear icon below it. Underneath, you would find “Information Center” followed by further contact details that the teasers had. 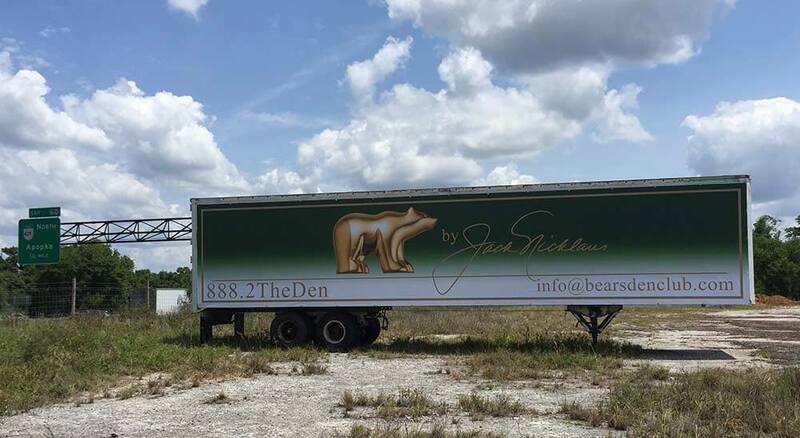 Another featured the bear icon and the signature of Jack Nicklaus with the website address bearsdenclub.com at the bottom on two adjoining faces of a billboard. Touted as the new level of luxury, this privately gated enclave of homes needed something stylish and huge. 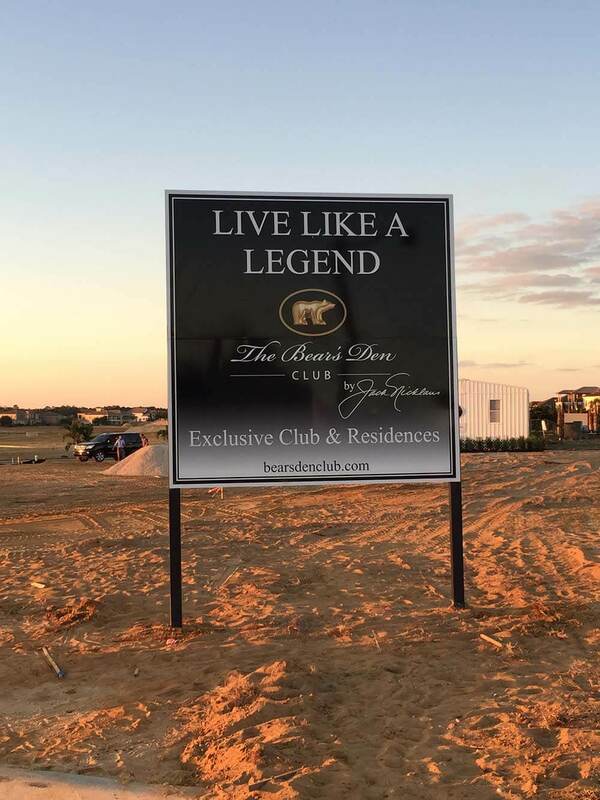 With huge 8’x 8’ real estate signs urging onlookers to LIVE LIKE A LEGEND, Citrus Sign Studio made sure anyone coming to the Reunion Resort property got a sense of place and life beyond the ordinary realms. The custom signs featured the Golden Bear icon followed by the name of the club and the signature of the legendary golfer. To ensure that the club’s elite and private, members’ only feature was displayed prominently, the sign had it engraved on it – “Exclusive Club & Residences”. The bottom of the huge banner showcased the web address of the club. Apart from playing an active role in the design of The Bear’s Den Club, Jack Nicklaus is also its first member. 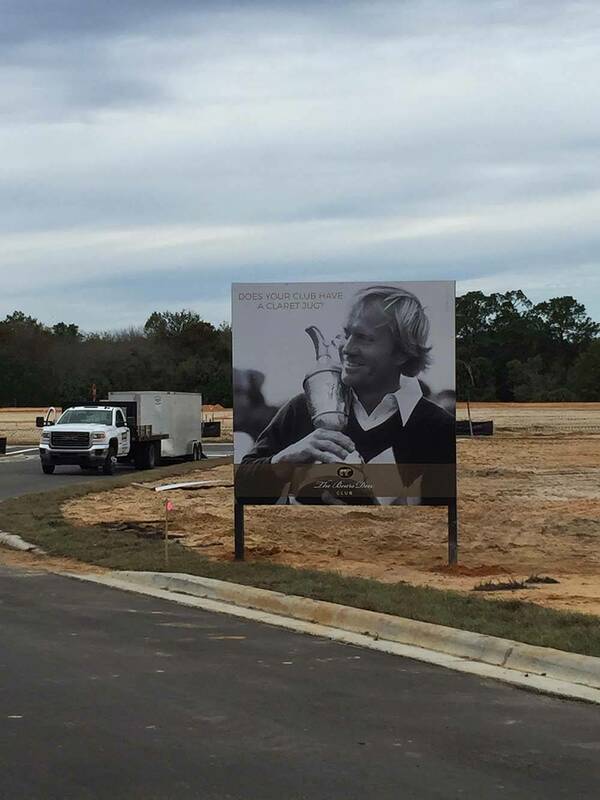 To make people coming to these luxury homes or the private clubhouse get a taste of the celebrity quotient of this place, we decided to create larger than life custom signs with an image of Jack Nicklaus holding the Claret Jug (the Gold Champion Trophy). To welcome new homeowners at the entrance, we decided to play up the unique quotient of the place with the line: “Does Your Club Have A Claret Jug?” above the image of the golf legend. 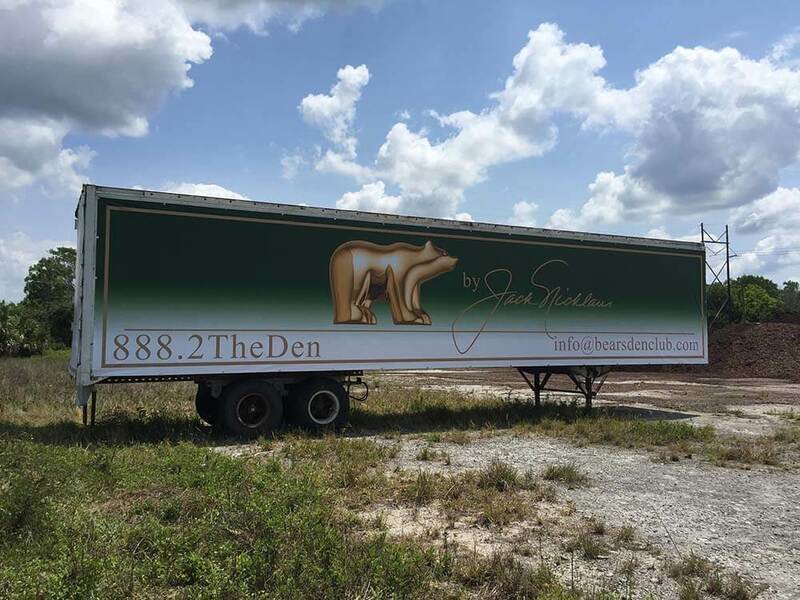 Thus, all the custom signs and real estate signs we designed were intended to drive home the message: the legend continues at The Bear’s Den Club.